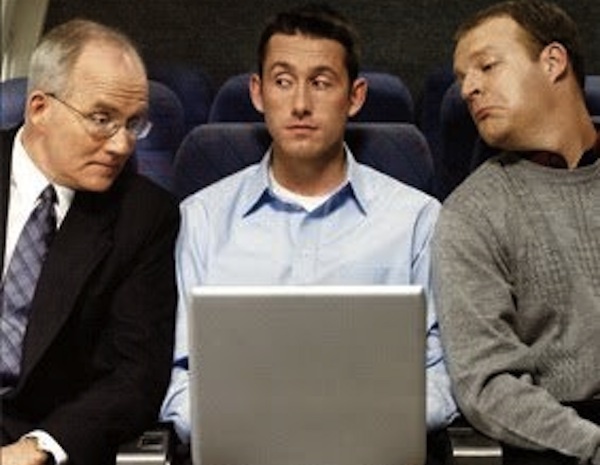 The FAA wants your comments regarding in flight Portable Electronic Device policy. Why do they have the policy? Here is the current FAA Fact Sheet. No they don’t want your seat mate to be gabbing on their cell phone the entire flight. In this case I am rooting for the committee that is to be established. We just might get some “Intelligent Management of Risk” out of this. Mail: Send comments to Docket Operations, M-30; U.S. Department of Transportation (DOT), 1200 New Jersey Avenue, SE, Room W12-140, West Building Ground Floor, Washington, DC 20590-0001. Hand Delivery or Courier: Take comments to Docket Operations in Room W12-140 of the West Building Ground Floor at 1200 New Jersey Avenue, SE, Washington, DC, between 9 a.m. and 5 p.m., Monday through Friday, except Federal holidays. If enough people comment, we might just get to the point that it won’t be illegal to take photos out of the window during takeoff and landing. This entry was posted on Wednesday, August 29th, 2012 at 4:27 pm and is filed under Engineering, Front Office. You can follow any responses to this entry through the RSS 2.0 feed. You can leave a response, or trackback from your own site.